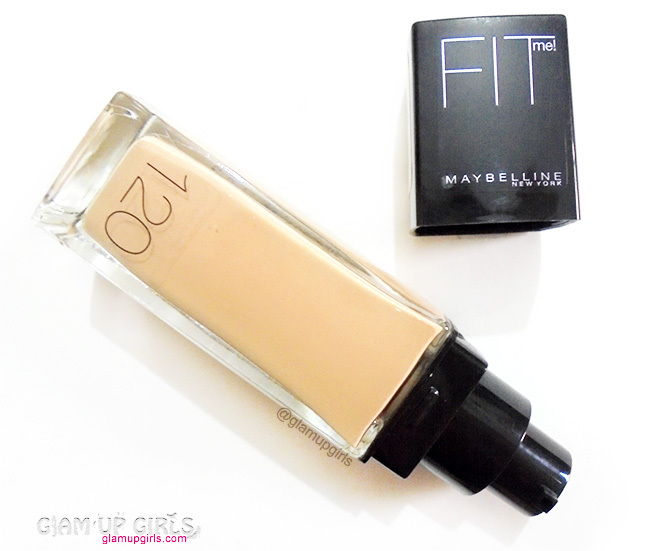 After reading so many mixed reviews on Maybelline Fit Me foundation i was bit skeptical about whether buy it or not. The claims about providing light weight, natural, dewy and breathable coverage forced me to buy this foundation. As i have dry skin i get easily discoloration and patchy skin even in summers. With some reviews i came to know that it is best suited for dry skin and provides medium coverage. So did it work for me or not, i am going to share my thoughts in today's post. It's makeup that fits you. The packaging is sleek and sturdy made of glass which comes with pump to dispense the foundation easily. The texture of this foundation is thin and runny which easily spread and blends effortlessly. It can be blended with fingers but i prefer Real Technique buffing brush to get even coverage. The good thing about this formula is, it absorbs into the skin becoming part of it and doesn't look cakey or feel heavy. So it is definitely breathable foundation which makes it ideal for summers. This foundation doesn't provide matte finish instead it looks little dewy. This foundation doesn't need any heavy moisturizer even for dry skin specially in summers because formula looks moisturizing it self. In this humid weather i have used it on my dry bare skin and i was quite comfortable with it, however this fact can not be good for oily skin. They definitely need Matte-Poreless version of this foundation. The Maybelline claims it to have SPF 18 which is a good part and i have not noticed any white cast in flash lights because of SPF factor. I have got the shade Classic ivory which being one shade darker then ivory looks little dark for me but i don't mind using little dark shade then my skin. Having dry skin i have little discoloration around lips and some serious dark circles. 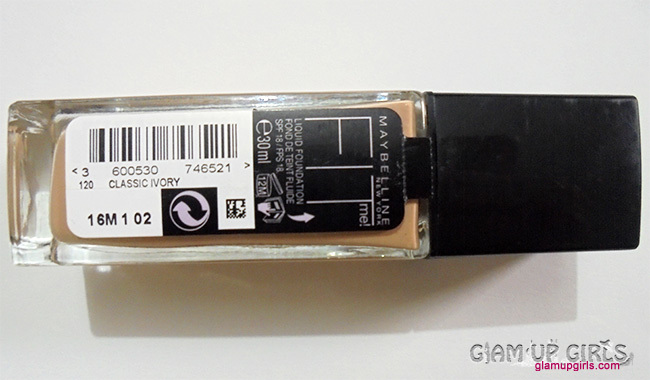 I have noticed that this foundation did cover discoloration making my complexion more even and hide the dark circles for some extant which looks natural and not grayish without any concealer. For daily routine in summers wearing heavy concealers bother me so with this foundation i get little light shade around the eyes which is comfortable for me on daily basis but if you want full coverage then you need concealer with it. I wore it to market for shopping and kept looking in mirror now and then to check its performance. I was really amazed to see my even toned skin throughout shopping and when i reached home it was still looking good after 4 to 5 hours in hot weather. I can safely say it can stay more then 6 hours on dry to combination skin with comfortable environment. Overall i love this foundation for being so natural, breathable and covering discoloration. It is moisturizing and gives dewy finish so if you have oily skin it is definitely not for you.